For Beverly Biggs-Leavy, the road to rebuilding just keeps getting wider. Like a number of other restaurateurs, she was forced to close in 2016 in the wake of Flint’s water emergency. Beverly’s Cakes and Catering had been one of community’s most popular eateries, a vision of business ownership made reality, then vanished. Beverly Biggs-Leavy will reopen her popular soul food eatery ahead of schedule Oct. 5 at Hamady Complete Food Center. A second full-service restaurant renamed Beverly’s is also set to open next year. Now Biggs-Leavy’s plan to begin serving hungry customers once again is suddenly proceeding ahead of schedule. The newly opened Hamady Complete Food Centers at 2629 West Pierson Road will be the site of her new restaurant Oct. 5. A dining area for 80 visitors will occupy a section of the supermarket, while Biggs-Leavy continues preparing to reopen a primary location, renamed Beverly’s, at 3613 Clio Road next year. Operating two restaurants wasn’t Biggs-Leavy’s original plan, but she says she will embrace the opportunity offered by store management. Hamady Complete Food Center had been interested in collaborating with Biggs-Leavy for more than a year, she says. While the market, which opened this summer at the site of a former Kroger grocery store, includes a deli, bakery and buffet in its 74,000 square feet, the new dine-in attraction will be a draw for customers, says Jim McColgan, Hamady’s president and CEO. The staff at Hamady’s location of Beverly’s will include her husband and grandchildren. The concept of a dine-in establishment at the site of a supermarket is “very unique,” he adds. Hamady Complete Food Center’s launch marked a return to Flint that came with fanfare and celebrations after the company closed its last local store almost 30 years ago. 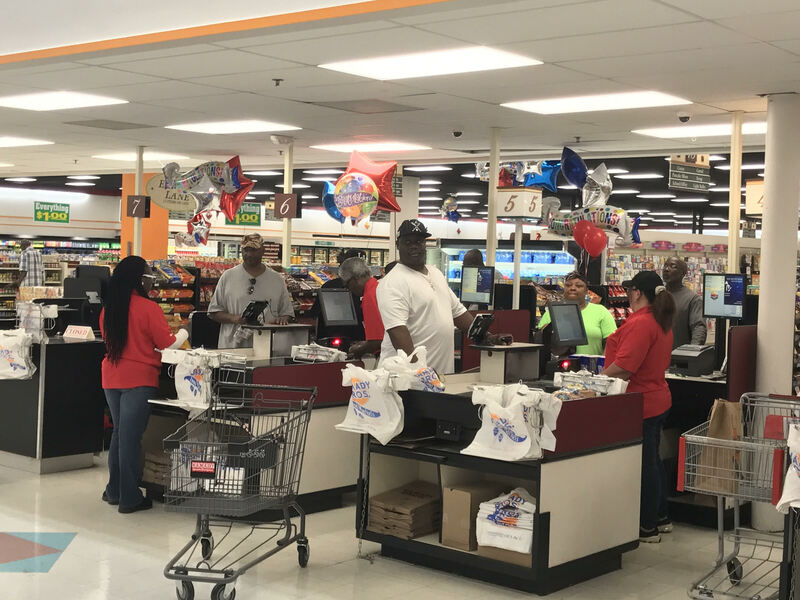 The new supermarket underwent renovation for about a year and a half, during which Biggs-Leavy had multiple conversations with McColgan and former Flint councilwoman Jackie Poplar, who works with Hamady. “They wanted a restaurant that already had a following,” Biggs-Leavy says. Moderately priced dishes like smothered chicken, fish, macaroni and cheese, turkey and dressing, collard greens, cakes and peach cobbler generated a core of loyal patrons at the original Beverly’s Cakes and Catering. With most menu items priced at no more than $10, the restaurant generated thousands in sales each week. But as fears about exposure to lead-tainted water in the municipal supply spread throughout the city, many Flint residents and visitors stopped dining out. 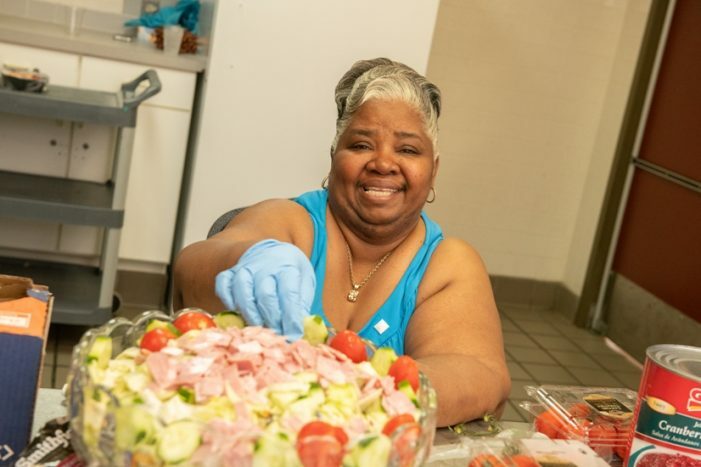 Biggs-Leavy ceased operating at 915 South Dort Highway in Dort Court Plaza and has kept busy by catering events, while pursuing plans to open her next kitchen in a property bought through the Genesee County Land Bank. Like the Hamady location, the dining room at Clio Road’s Beverly’s will be, at least, four times larger than the original site’s 20-seat service area, she says. While planning the building’s renovation and the restaurant’s opening in 2019, Biggs-Leavy hadn’t imagined she’d acquire another space. The staff at Hamady’s location of Beverly’s will include her husband and grandchildren. “God put me in a position to do something I’ve wanted to, ever since I closed my doors,” she says. 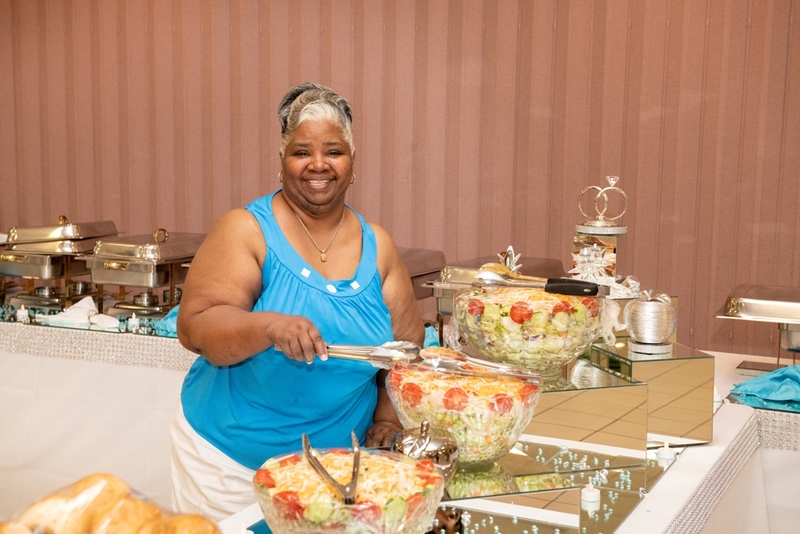 Beverly Biggs-Leavy plans to offer traditional menu items and features like a daily lunch buffet at a special price for both dine-in customers and those who can grocery shop and then take home a hot meal. Biggs-Leavy plans to offer traditional menu items and features like a daily lunch buffet at a special price for both dine-in customers and those who can grocery shop and then take home a hot meal. While she is still choosing styles of chairs and tables for the dining area, word-of-mouth about the restaurant’s reopening at Hamady has already created an eager buzz on social media and in the community. “Just tell all the people of Flint to come over to the best grocery store in the city,” he says.